Catanzaro earlier missed an extra-point attempt as well as a 40-yard field-goal attempt, which would have given the Buccaneers the lead with four seconds left in regulation. "Absolutely crazy," said Buccaneers head coach Dirk Koetter in the aftermath of a game that featured five possessions and two turnovers in overtime. "To have two possessions from your minus-one ... having a safety, having a missed extra point, being minus-three in turnovers ... a lot of weird stuff." "Our fight kept us in the game, especially special teams, which has been a huge improvement," Browns head coach Hue Jackson said. "Our defense held in there and made some plays and turnovers, but we didn't capitalize on them; that's what you have to do." On third down, Winston completed a 14-yard pass to DeSean Jackson to set up the game-winning field goal. The first touchdown pass went to tight end David Njoku early in the third quarter from 15 yards out to cut the deficit to 16-9. Tampa Bay took over on their 20-yard line and, like the Browns, couldn't move the ball and were forced to punt. Peppers, who had returned a punt 32 yards earlier to set up the tying score, caught the ball at the Cleveland 38 and ran 14 yards before fumbling and setting up the winning kick. 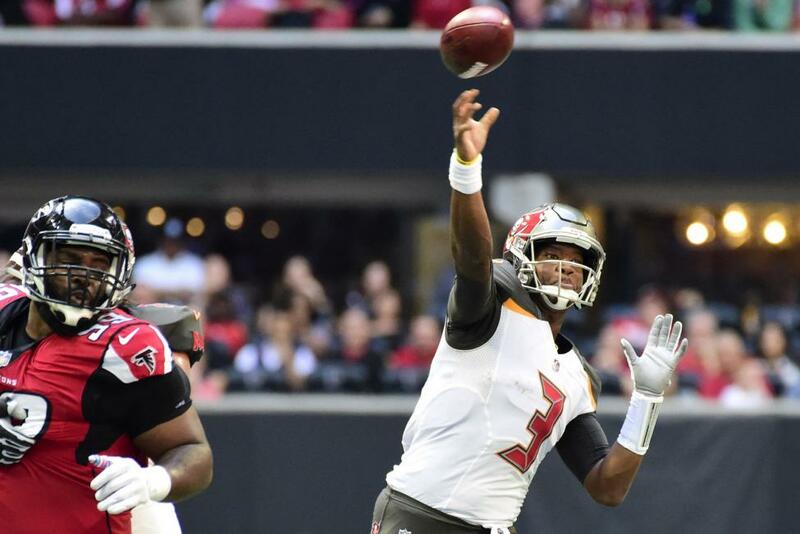 Winston completed 32-of-52 passes for 365 yards, and had two interceptions and one fumble. He did not pass for a touchdown, but scored on a 14-yard dash up the middle to put Tampa Bay up 16-2. Mayfield completed 23-of-34 pass attempts for 215 yards and two touchdowns.